On March 14th, five days after returning from a month in New Zealand and still jet-lagged, I felt I had to go out and take a look at spring in Austin. On the strip of land between Arboretum Dr. and Loop 360 I found a bunch of my old floral friends. 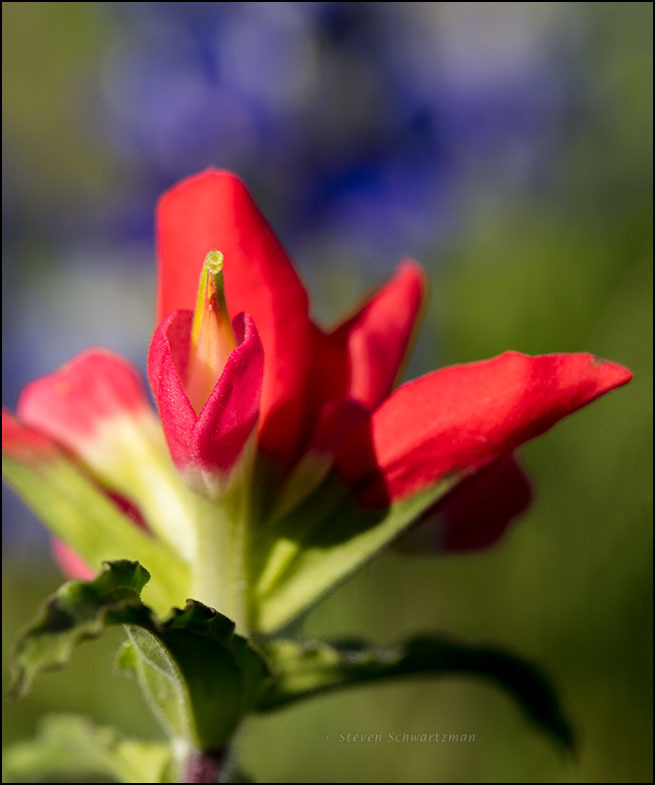 Of the two shown here, Indian paintbrush (Castilleja indivisa) is in the foreground and a bluebonnet (Lupinus texensis) is behind it. I’ll get back to New Zealand in a few posts, after giving some deference to what’s happening at home.